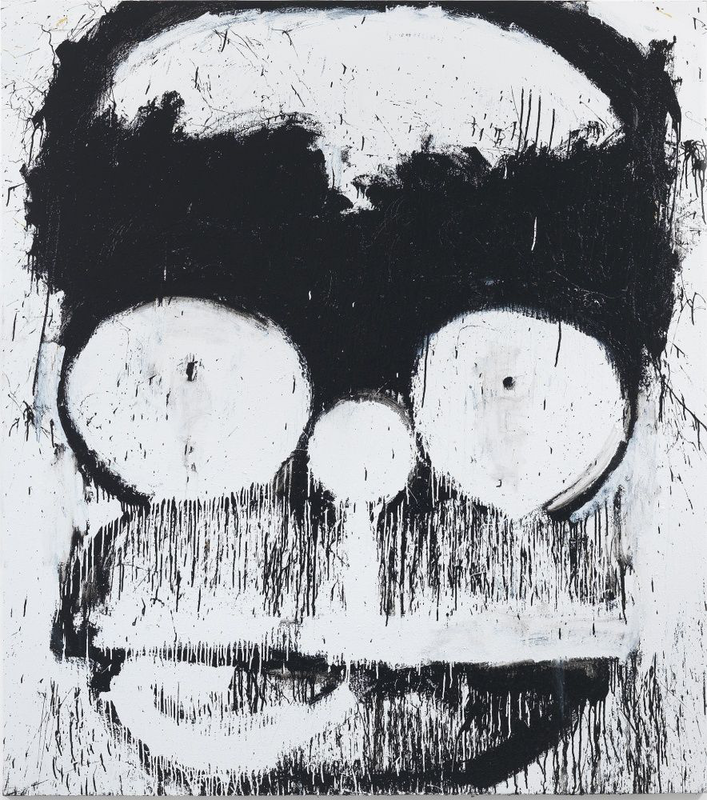 Joyce Pensato paints exuberant and explosive large-scale likenesses of cartoon characters and comic- book heroes. 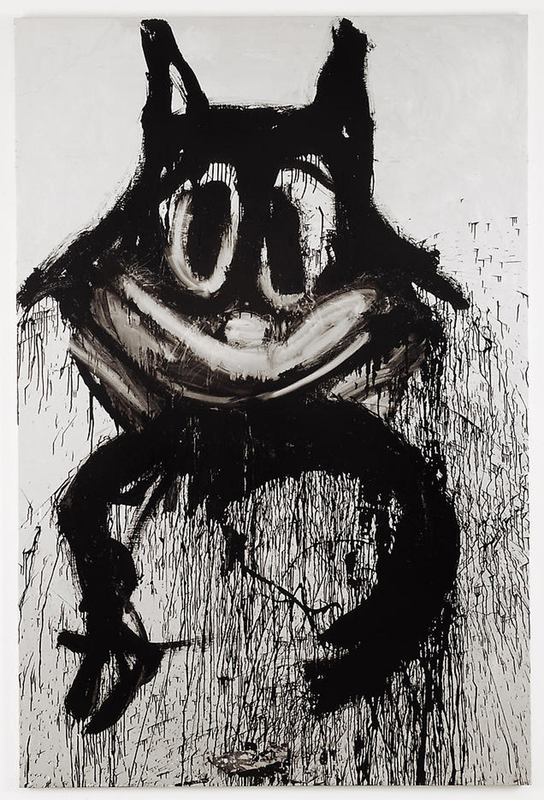 Her seemingly frenzied technique – involving the deliberate accretion of successive layers of bold linear gestures, rapid spattering and frequent erasures – results in alternately humorous and sinister imagery. 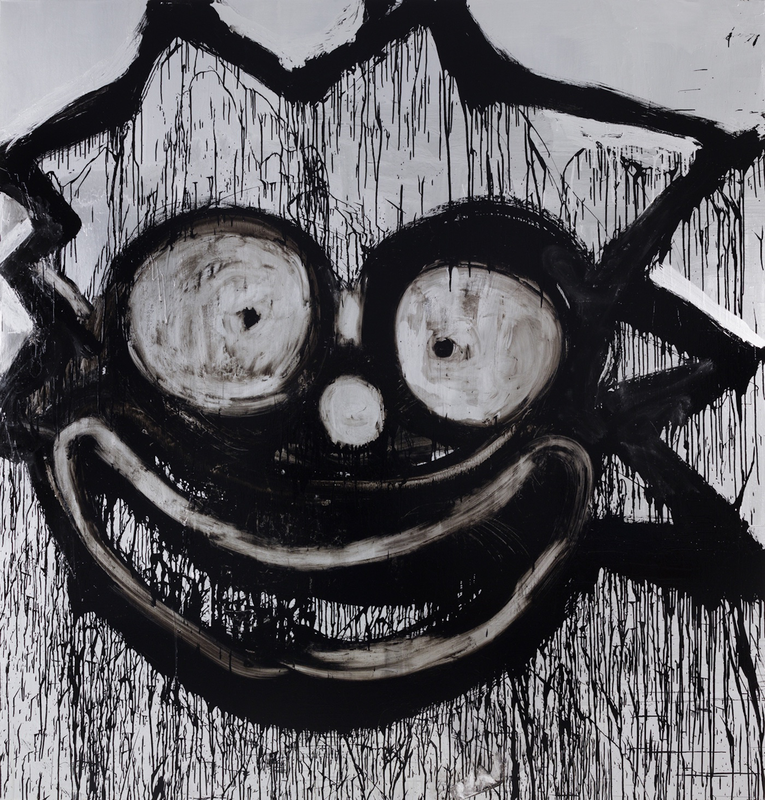 While her prima faciesubject matter ranges from Batman, The Simpsons and Mickey Mouse to Felix the Cat and Elmo from Sesame Street, her artistic progenitors include Alberto Giacometti, Andy Warhol, Jean-Michel Basquiat and Abstract Expressionists such as Jackson Pollock, Franz Kline and Filip Guston. Taking much of her material from her hometown of Brooklyn, New York – from graffitied walls to hand-scrawled shop signs – Pensato paints almost exclusively in shop-bought black and white enamel, while also employing charcoal and pastel for smaller-scale drawings. Recently Pensato has begun painting oversized murals, often taking weeks to complete, while there are also occasional leaps away from the monochrome world she generally inhabits into sporadic bursts of colour, especially silver and gold. 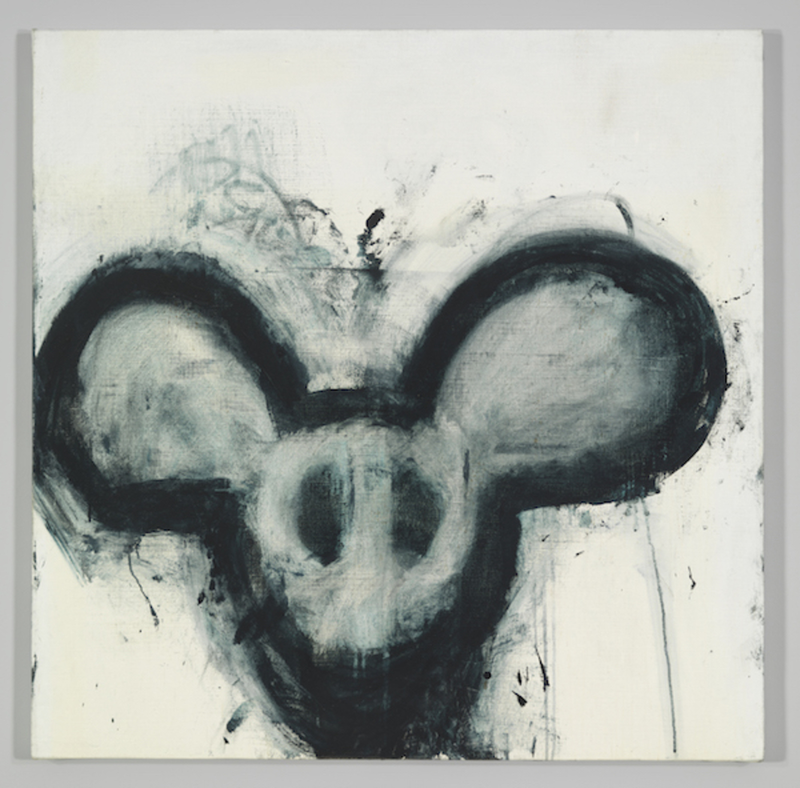 Joyce Pensato was born in Brooklyn, NY, where she continues to live and work. 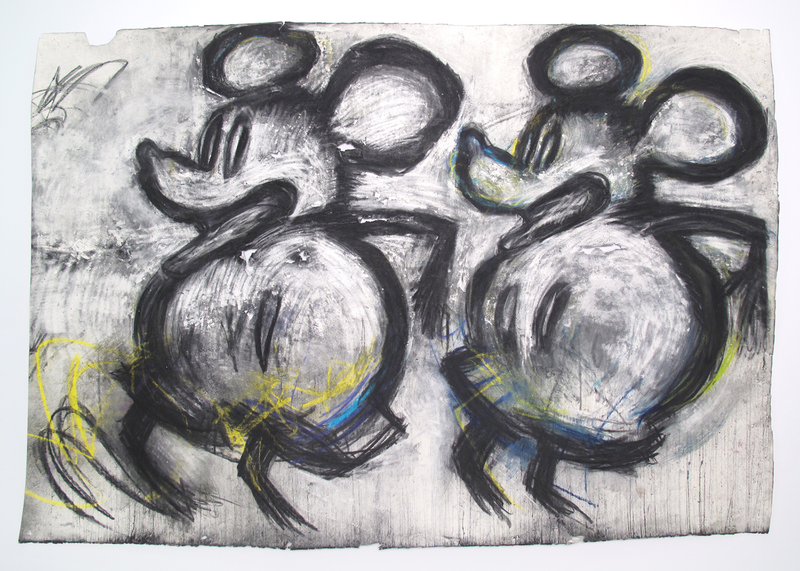 Pensato is the recipient of numerous awards for her work, including the Robert de Niro, Sr. prize in 2013, the Pollock-Krasner Foundation Award in 1997, and a Guggenheim Fellowship in 1996. 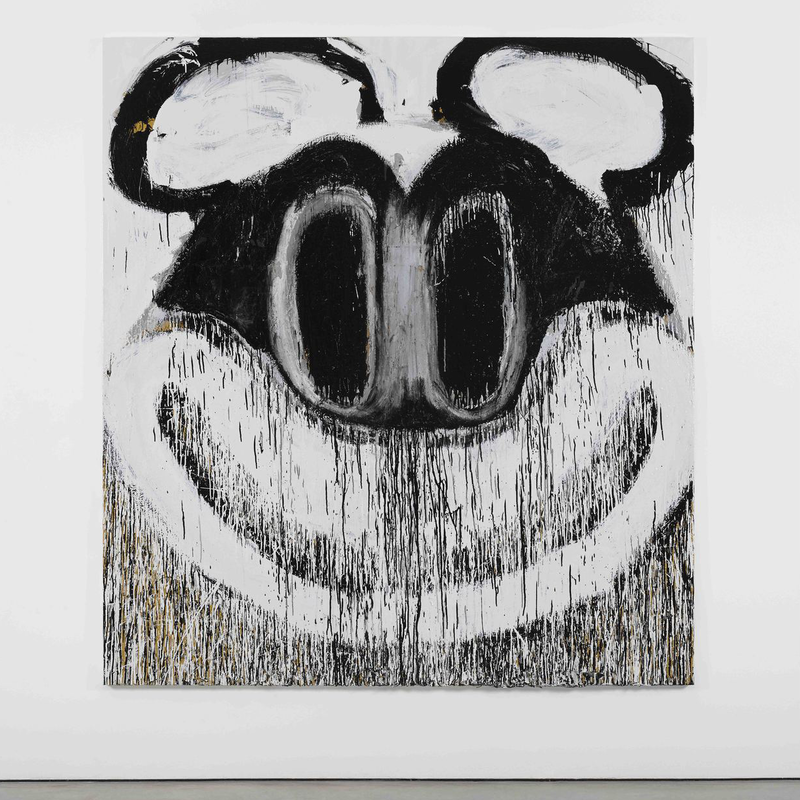 She has exhibited widely, notably with Friedrich Pretzel Gallery in NY, the Santa Monica Museum of Art, Lisson Gallery in London, and the Kunstraum Innsbruck in Austria, among many others. Her work can be found in many prestigious public collections such as the Centre Pompidou in Paris, the Museum of Modern Art in New York, the Hammer Museum of Art in Los Angeles, and the museum of Modern Art in San Fransisco, among others.